Jerry A Matney has spent forty years researching the Native American tribes who once ruled the Plains, along with the mountain men who often lived with them. He traveled extensively throughout Montana, Wyoming and Colorado to familiarize himself with the homeland of the Crow, Arikara, Blackfoot and Shoshone tribes. This research aided him in writing Woman War Chief, Five Scalps, and Running Eagle. Then his desire to write a historical novel about Texas led him to research the region's history, particularly the life of Cynthia Ann Parker, her son Quanah, and the struggle of the Comanche as settlers encroached on their land and their primary source of food dwindled. 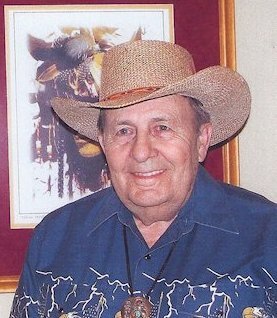 In order to tell the story of his experiences growing up in northern Texas, Jerry's wrote The Sandy Creek Boys, a memoir about his family, especially his antics and those of his brothers. Jerry was born and raised on a farm in Wise County, TX. His paternal great-grandmother, Sara Jane Stillwell Matney, was a Cherokee from Haywood County, NC. In Orange County, CA Jerry served thirty-four years as an educator, principal and rehabilitator of juvenile offenders. He was elected to the Fountain Valley School Board and to the Huntington Beach City Council. 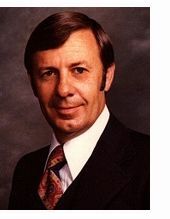 In the 1970s, he served a term as Mayor of Huntington Beach. After he retired, Jerry and his wife Nedra moved to Surprise, AZ. To order an autographed copy of any of Jerry's books, you can contact him at jalvusmatney@aol.com or visit his publishing website: www.alvusIIpublishing.com.